Greetings again from the darkness. Any list of the all-time great comedic teams would surely include Laurel and Hardy at or near the top. Influenced by pioneers such as Charlie Chaplin, Buster Keaton and The Marx Brothers, Stan Laurel and Oliver Hardy (the rotund one) rose to the top of the comedy world through their films and shorts produced by Hal Roach Studios during 1926-1941. In later years, we recognize the Laurel and Hardy influence in hugely popular acts such as Abbott & Costello and The Three Stooges. Director Jon S Baird (FILTH, 2013) and writer Joe Pope (PHILOMENA, 2013) deliver a warm tribute to the comedy giants by giving us a peek on stage and off. The film kicks off in 1937 when the duo are the height of their popularity, and a wonderful extended opening take allows us to follow them as they make their way across the studio lot and onto the set of their latest film, WAY OUT WEST. Before filming the scene, they have a little dust up with studio owner Hal Roach (Danny Huston) over the money they are being paid per their contract. Stan thinks they deserve more, while Oliver, racked with debt from a stream of broken marriages, prefers to not rock the boat. It’s this early scene that acts as a precursor to the challenges we witness in the business partnership side of the duo. Imagine if the work of you and your business partner were on display for the world to judge. And how does friendship fit in? The film flashes forward to 1953 when the popularity of the comedic duo has faded. They find themselves on a United Kingdom tour arranged by smarmy booking agent Bernard Delfont (played well by Rufus Jones). The purpose of the tour is to convince a film producer to back their Robin Hood parody idea. The early gigs are very small music venues and the crowds are even smaller. But these are true pros, and soon Stan and Ollie hustle up their own growing audiences, and by the time their wives join them on the tour, they are filling the best venues. As Lucille Hardy (Shirley Henderson) and Ida Laurel (Nina Arianda) make their appearance, we soon find ourselves with two comedy teams to watch. The chemistry between the ladies is so terrific, they could be the featured players in their own movie. Lucille is a strong and quiet former script girl who is quite protective of her Ollie, while the outspoken Ida is a former Russian dancer who, in her own way, is also protective of the gentlemen performers. The suppressed resentment over the (much) earlier Roach negotiations finally boils over in a heart-wrenching scene. The grudges and feelings of betrayal are voiced – alongside Ollie’s physical ailments. As they air their grievances, it cuts to the quick. Not long after, Ollie’s heart condition finds the two mimicking their “hospital” skit in real life … it’s a show of ultimate friendship that can only be built through decades of working closely together. John C Reilly plays Oliver Hardy (the American) and Steve Coogan is Stan Laurel (the Brit). Both are extraordinary in capturing the look and movements of the comic geniuses. Mr. Reilly and Mr. Coogan are such strong actors, that it’s difficult to decide which segments are best. Is it the reenactments of some of Laurel and Hardy’s iconic skits, or is the off-stage moments when they are dealing with the human side of these entertainment giants? Reilly benefits from excellent make-up and prosthetics (that chin!) and Coogan has the hair and determination needed for his role. Director Baird’s film is sweet and sad and funny. 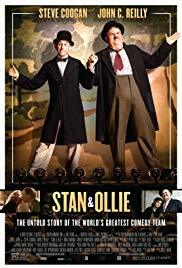 Stan and Ollie deserve this warm tribute, and it’s a reminder of all the stress and hard work that performers put in so that the show looks “easy”. This is what’s meant by honing the craft … even if it’s “another fine mess” accompanied by the trademark “Dance of the Cuckoos” music. Let’s hope the film attracts some youngsters who might gain an appreciation for the good ol’ days of Classical Hollywood. Greetings again from the darkness. Fairy tales have long been a fruitful source for movie material. Some, like Disney productions, land gently on the family/children end of the scale; while others like the Brothers Grimm material are much darker and adult in nature. 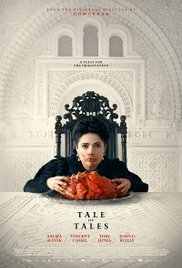 And now, along comes director Matteo Garrone and his blending of three stories loosely based on the 17th century tales published by Giambattista Basile … and “black comedy” falls short as a description. Mr. Garrone is best known for his chilling look at an Italian crime family in the award winning Gomorrah (2008), so a trilogy of demented monarchial fantasies may seem a bit outside his comfort zone … but grab ahold of your crown jewels and be ready for just about anything. A very strong opening leads us into the first story about a King (John C Reilly) and Queen (Salma Hayek) who are by no one’s definition, the perfect couple. The Queen’s inability to have children leads her to strike a deal with a Faustian seer who promises a baby to the royal couple. The only catch is that the King must kill a sea monster, and the Queen must eat its heart after it’s properly prepared by a virgin. Yep, it’s pretty dark and pretty odd. Of course, as with all actions, there are consequences (albino twins of different mothers) … some of which are not so wonderful. The second story involves a lecherous King (Vincent Cassel) who falls in love with a local woman based solely on her singing voice. Much deceit follows and the actions of two sisters (played by 3 actresses – Hayley Carmichael, Stacy Martin, Shirley Henderson) and some supernatural aging products lead to a twisty story of romance that can’t possibly end well for anyone involved. The third of our 3-headed story is the strangest of all, as a King (Toby Jones) nurtures a pet flea until it grows to behemoth size. Yes, a pet flea would be considered unusual, but eclipsing even that in uniqueness is the King’s willingness to offer the hand of his daughter (Bebe Cave) in marriage to a frightening ogre who lives a solitary life in the mountains. These three stories are interwoven so that we are bounced from one to another with little warning … which seems only fitting given the material. Knowing the theme of the three stories does not prepare one for the details – neither the comedy, nor the dramatic turns. All actors approach the material with deadpan seriousness which adds to the feeling of a Grimm Brothers and Monty Python mash-up. Alexandre Desplat provides the perfect score for this oddity, though the audience may be limited to those who can appreciate grotesque sequences assembled with the darkest of comedy. The moral to these stories may be difficult to quantify; however, it’s a reminder that actions beget consequences no matter the time period. Greetings again from the darkness. The scene playing over the opening credits is baffling to us and sets the tone of peculiarity that runs throughout the film. A lady gets out of her car during a rainstorm to perform an unthinkable act as we watch through the windshield as the wipers rhythmically clear our view. Next we watch as Colin Farrell’s wife announces, after 11 years of marriage, she is leaving him for another man. Curiously, Farrell asks if her new man wears glasses or contacts. Welcome to a dystopian future via the warped and creative mind of writer/director Yorgos Lanthimos (Dogtooth, 2009). It really boils down to a satirical look at relationships and our societal outcast of single adults. 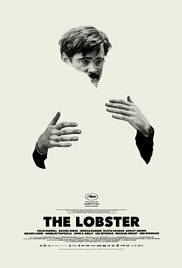 In Lanthimos’ world, Farrell, now a single man, must check in to the oddest country hotel you’ve seen. He has 45 days to find a romantic partner. If he doesn’t, he will be transformed into the animal of his choice. He chooses the lobster because of its long life span … ignoring the probability of ending up on a restaurant platter. It’s an oddball world overly structured with rules enforced by the Hotel manager – a terrific Olivia Colman. Farrell befriends a couple of other single fellows: the limping man (Ben Whishaw), and the man with a lisp (John C Reilly). It’s funny and uncomfortable and kind of sad to watch these folks awkwardly try to connect with others with a deadline fast-approaching. 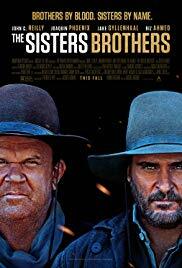 The first half of the movie is really black comedy at its finest, but once Farrell escapes the Hotel and joins the “loners” in the forest, the tone shifts a bit. An uneven romance develops between Farrell and a woman played by Rachel Weisz (who is also the film’s narrator). Even though this group of loners pride themselves on independence, it’s ironic that Farrell has merely traded one set of rules for another … courtesy of the rebel leader played by Lea Seydoux. It’s a bizarre film, and one from which we can’t look away. The deadpan-yet- emotional dialogue delivery is strange enough, but the site gags are even further off the charts – keep an eye out for animals (former singles) strolling by in the background (peacock, camel, etc). There is certainly insight into modern day relationships and how people connect based on instantaneous judgments … but at least we don’t have to dig our own graves … yet! Greetings again from the darkness. Four strong actors in one upper crust Manhattan condo for 79 minutes is a good first step. A script adapted by the director Roman Polanski and the original playwright Yasmina Reza makes for a strong second step. So why isn’t this film more effective? The belief here is that this one simply works better as a play. That’s not to say the dialogue and flow aren’t impressive, it’s just that as a viewer, we are distracted by the look and feel of a play being presented on screen rather than live on stage. The story opens with four well-groomed adults huddled around a computer putting the finishing touches on a joint statement regarding a playground incident between their two 11 year old sons. The Longstreet’s (Jodie Foster, John C Reilly) son ended up getting whacked in the face with a stick by the Cowan’s (Kate Winslet, Christoph Waltz) son. We witness the incident from a distance over the opening credits, totally oblivious to the spoken words from the boys involved. After one minor compromise on wording, the statement is complete and the Cowan’s move to make a graceful exit from the Longstreet’s home. Instead, we get the first of four or five “almost” escapes as one after another particularly irksome claim or accusation is made by one of the participants, and the war of words moves back inside. The genius of the story comes from watching the gradual dismantling of social graces as these four people work through the full spectrum of human emotions related to, not just their son’s actions, but also the words and actions of each other. Think of it as an updated yuppie version of Who’s Afraid of Virginia Woolf? We see homemade cobbler transition to coffee and finally to whiskey. Each change coincides with personality changes and a constant shifting of alliances within the group. These are four normally civilized people play-acting like this emotional topic can be handled without emotion. One particular occurrence is quite off-putting for both the viewer and our on screen party of four. It creates quite a mess on the coffee table, and immediately intensifies the level of apologizing and philosophizing. There are at least three interesting social commentaries being made here. First, parents tend to defend their own children no matter the situation. Second, today’s parents mistakenly believe that 11 year olds should behave like mature adults. They have forgotten that social and coping skills are learned through playground disputes. Third, no matter how educated or well-mannered we show on the outside, we all have the need and desire to be respected and deemed correct in our judgments. You may not learn a great deal from this one, but I bet you find yourself paying particular attention to your own debate strategy the next time you are in a social environment. It is certainly a treat to watch four standout actors having such a good time with words. SEE THIS MOVIE IF: you want to see adults arguing like teenagers while pretending to be acting like adults. SKIP THIS MOVIE IF: a harsh dose of human nature is not why you head to the movies. Greetings again from the darkness. Indie films are at a disadvantage on many fronts, not the least of which is budget. That usually limits the indie scene to personal, poignant stories of relationships and self-discovery. Quirky, yet believable characters are often the difference between ho-hum and worth-seeing. Writer Patrick Dewitt and Director Azazel Jacobs definitely provide some curious characters of interest in this Official Selection of Sundance Film Festival. Jacob Wysocki portrays Terri, an overweight outcast who is often humiliated and bullied at high school. Terri seems to have given up on ever fitting in. The proof is in the pajamas that he has begun wearing to class every day. But as usual with “troubled” teens, there is more to the story. We see his home life which consists of constant care for his Uncle James, who is apparently suffering from dementia. We get no backstory on the missing parents, but it’s clear that Terri’s responsibility at home outweigh his concerns for a missing social life at school. Enter Assistant Principal, Mr. Fitgerald. Played by John C Reilly, Mr. Fitzgerald takes a special interest in the ‘monsters and misfits’. The reason is pretty obvious … he was one himself. His goal, rather his life’s calling, is to encourage these kids to understand that life gets better and that NO ONE really has it figured out. We are just doing the best we can. Even this well-intentioned man struggles to maintain his relationship with his wife. Terri’s world collides with a couple other students. Chad (Bridger Sadina) is so angry at the world that he pulls his hair right out from his scalp – and is quick with a cutting remark, though he clearly just seeks attention and love. Heather (Olivia Crociacchia) is saved from expulsion after a very generous move by Terri. Her world of popularity comes crashing down, but Terri is the presence that gets her through. Watching these characters interact with Mr. Fitzgerald emphasizes how much we all need someone to care … someone to believe in us. The film moves at a pace realistic to life. That means it is very slow compared to most movies. The characters are allowed to develop, as are most of the scenes. Jacob Wysocki’s performance can be compared to Gabourey Sidibe in Precious. They are large youngsters who don’t use their size to comedic effect. Instead, they both display humanity and real emotions in a less-than-perfect world. Uncle James is played very well by Creed Bratton (“The Office”). If you aren’t familiar with Mr. Bratton, he is not only a fine actor, but also was a member of the late 60’s/early 70’s band The Grass Roots. He continues to compose music to this day. Certainly not a movie for everyone, but if you enjoy intimate stories about people just trying to get through life … no special effects, explosions or asinine punchlines … then Terri is worth a look.